Ryan Newman snapped a 127 race winless streak Sunday after a late caution allowed the team to play with strategy. Luke Lambert, crew chief for Ryan Newman, made the call to stay out despite Newman wanting to pit. The decision was the race winning move that gave Newman his 18th career Monster Energy NASCAR Cup Series victory, and his first since July 28, 2013 at Indianapolis. Newman wasn’t the only one on old tires, however. He was joined by Ricky Stenhouse Jr. and Martin Truex Jr. Kyle Larson restarted fourth with two fresh tires, but collided with Stenhouse before he was able to take advantage of it. Larson does have one thing to be happy about after the Camping World 500. He gained the series points lead earning his third straight second place finish. Kyle Busch, who led 114 laps and looked to capture his first win of the season before Joey Logano’s tire blew, finished third, followed by Stenhouse, Brad Keselowski, and Kevin Harvick. 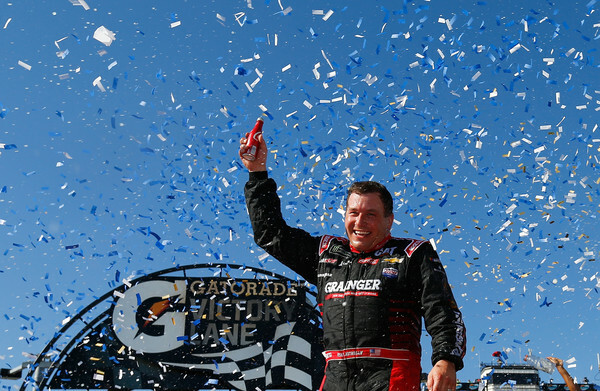 It was a sweet victory for all involved at Richard Childress Racing. RCR had yet to win a race since Kevin Harvick won the fall race at Phoenix before joining Stewart-Haas Racing.